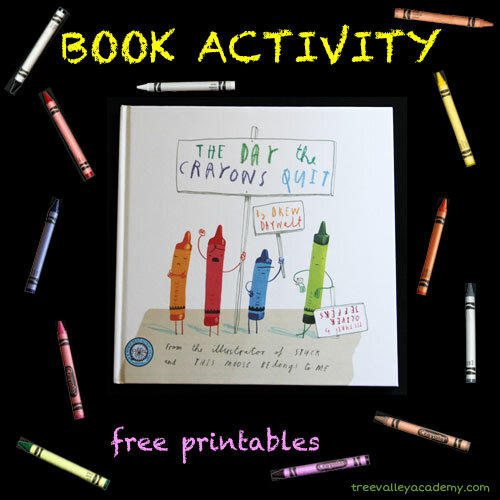 “The Day The Crayons Quit” is a cute children’s book that I recommend reading with your children if you get a chance to. It’s a cute story where 12 of Duncan’s crayons each write him a letter, each from their point of view. Beige is tired of always being less used than Brown. Blue needs a break from coloring so much water and sky pictures, while Pink just wants to be used. Green seems to be the only crayon content with his lot in life, while Orange and Yellow can’t stop arguing over who is the true color of the sun. While the book is marketed for ages 3-7, I am not ashamed to admit, I quite enjoyed the book myself. I love books that I can enjoy reading to my daughter as much as she enjoys having it read to her. It’s quite humorous, had us both chuckling a few times and in the short time we’ve had the book, she’s asked me to read it her quite a few times already. While reading for the sheer pleasure of it is something I hope to continue to foster with my daughter, I like to sneak in some additional learning whenever possible. Read The Day the Crayons Quit to your child. Tell them that you are going to read it together. Whenever you come across a color word, point to it and have your child read it. It will be pretty effortless for them as each color is written in its own color in the book. Depending on their skill level, you could also throw in 2 other well used words in the book for your child to read: “crayon” and “color”. After reading the book, I created a 3 page free printable activity you can download below. The first page presents additional reading practice of the color words. If they are not at the writing stage yet, they can have fun coloring the crayons their correct color. 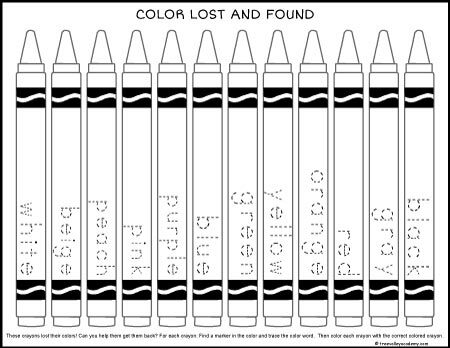 Of course they will have to read the word to know which color the crayon needs. 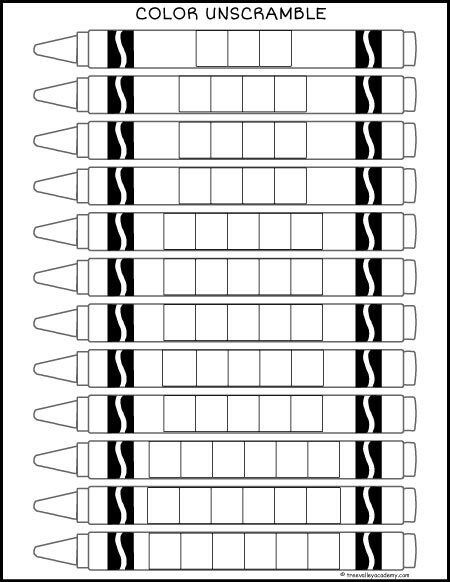 If they can handle some tracing, then have them find a marker of the correct color to trace each of the words before coloring the crayons. Great practice for their reading and writing skills. Perhaps at another time they can do the next page and a half of the free printable. 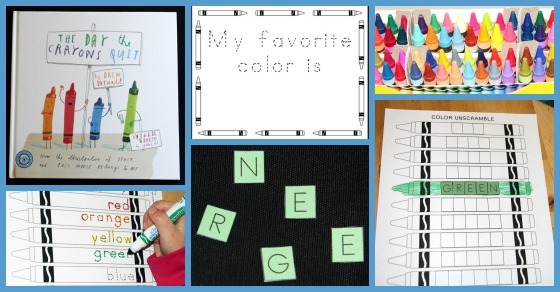 If they are able, they can practice their cutting skills, cutting out all the colorful letters they are going to need for “Color Unscramble”. Sorting or grouping all the letters by their colour is next. They will then have all the letters needed for spelling each color word. The next step is unscrambling the letters. They can try doing this by sounding out the word and putting the letters in the order of sounds that they hear. Of course, they might need some parental assistance for some of those trickier phonics rules (like silent e’s or when 2 vowels go walking….). 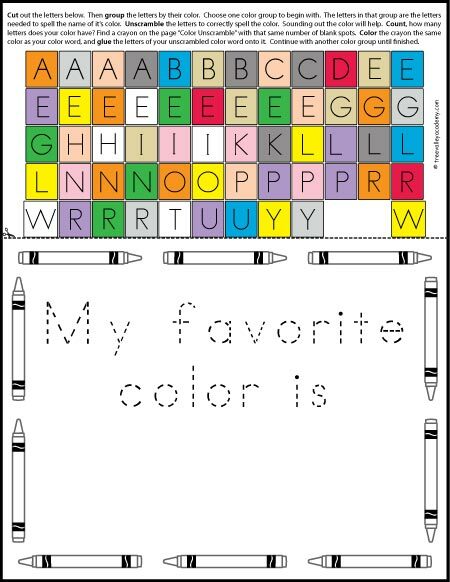 After unscrambling a color word, they can count how many letters that color has, find a crayon on the “Color Unscramble” page with the same amount of spaces, and glue the letters in the correct order. Last but not least they can grab some crayons, and practice a little of what they’ve learned with “My Favorite Color is…”. Will they remember how to spell their favourite color? That is the question lol. To download all 3 pages, subscribe to our email list below and you will get immediate access. Really cute and awesome idea. Thanks for sharing. Kids Literature is amazing nowadays. I can’t get enough of it. I totally agree with you that even though I’m an adult I derive lots of pleasure from reading kids books and as we read my mind starts swarming with ideas for activities inspired by book we are reading. I like your activity suggestions. Thanks for inspiration. Glad to know I’m not alone lol. This is great! I love that you have activity ideas AND printables! Excellent! Thanks for sharing with Everything Kids Link & Pin Party! Hope that you share more great ideas with us again on Sunday night!